In 2012 Kelly and I purchased new dive computers. These were the first new computers we had purchased for well over 15 years. Kelly got hers in February 2012 just before we went to the US for the Gabe Watson trial. She decided on the Shearwater Predator OLED PROT-SA. I got mine in June 2012 and I purchased the Heinrichs Weikamp OSTC 2N. Both are similar computers, in that they support (in one form or another), nitrox, trimix and closed circuit diving. They have the same screen but that is about where the similarities end. The following detail each of the computers. New Model is Shearwater Petrel, smaller but very similar. Shearwater Research is a Canadian company that produces only dive computers (including a CCR HUD) . There are four computers, but in reality they are all the same one, just with different activated software and two have an external Fischer PPO2 connector for rebreather use. The base unit is the Predator OLED PROT-SA. The cost is about A$1145 (same in US or Canadian dollars roughly). It is quite a large and bulky computer,but it looks like it would handle any rough treatment it was given. This is the one Kelly purchased. Kelly's old computer was a Tusa computer that she had owned for 15 years. I think that it was really a rebadged Suunto. It was not a bad computer, had user replaceable battery (cheap from Jaycar) and pretty simple. However, as far as I was concerned, it had two problems. The first was that it was far less conservative than my Aladin computers on the first dive and then, far more conservative on a second dive. Also, when we went to Vanuatu in 2007 and were diving the SS President Coolidge for two weeks and in 2011 when we went to Chuuk and dived the deep wrecks there, it spat the dummy and went into a sort of error mode. It did this when we had been doing a lot of deep repetitive diving and then, when doing a deep dive (about 60 metres), it started flashing Error. Even though it did this, it still sort of worked, giving decompression stops but also blinking ERROR for the whole time. Not great when this happens. Luckily Kelly had one of my old Aladins that she could trust and refer to. In the end, the Tusa started rebooting itself in the middle of a dive or just shutting down. It still seems to be working today, but we became very distrusting about it. We ended up purchasing the Predator from the Australian distributor as we could not find it anywhere else at anything but the same price (A$1145). We got it just before our trip to the USA in February 2012 when we were attending the Gabe Watson trial. That way we were able to claim the GST back. I think the price ended up about AUS$950 as we purchased two computers (one for a friend). Note that there are four models, the PROT-SA, PROCT-SA, PROT and PROCTE. These are in increasing capability and cost. The features below are only for the PROT-SA. The PROCTE is over $1800. Kelly loves it. She now has the ability to set the computer for Nitrox (which we now use for all boat dives in Sydney) and also a much larger screen. 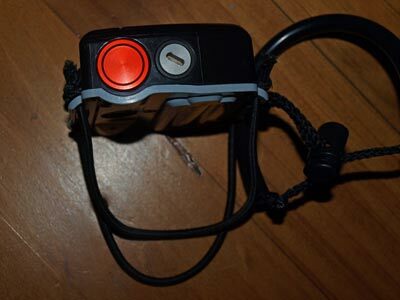 I have used it on a deep (48 metre dive) and found it excellent to use. As it has Gradient Factors (GF) as the only decompression algorithm, it is a little more conservative than the Uwatec computers. Kelly has decided to use a setting of 30/85 after a lot of experimentation. I have also set my computer to this as well and deco times are within a minute of each other. It is very easy to read and understand, although the bulky size can make it a bit harder when you are donning your BCD. The software to download the dives, Shearwater, is very basic. Kelly is happy with this, but I would want more probably. It is easy to download using Bluetooth. One friend has had problems with his Predator which was using batteries about five times as fast as it should have been. He had it repaired/replaced. Now replaced by OSTC 2C. This is one of the newer computers on the market. It is made by Heinrichs Weikamp, a small company in Germany. It is run by the owners and gives excellent before and after sales service. The computer uses the same screen as the Predator but in a much smaller package, half the weight and far less bulky. The big advantage of the OSTC 2N is the OSTC itself. 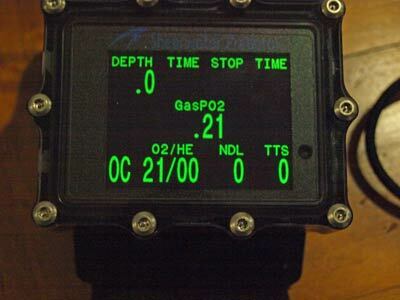 OSTC stands for Open Source Tauchen (Dive) Computer. This means that the code for the computer is readily available and in fact, if someone was game and capable enough, they could add in features to the computer. The OSTC 2N is basically a repackaged version of an earlier computer, the OSTC MkII. I have only ever owned Uwatec computers. My first one was an Aladin Pro which I got in 1991 (I think) and which was stolen in 1994. I then purchased an Aladin AirX. While this was a brilliant computer for its time, it had very poor quality control and I had three (or four? ), all replaced under warranty. For the last replacement I was given a newer AirZ (for the cost of a battery I think). Back in the 90s, I would guess that 90% of the people I dived with used Uwatec computers. I used this till about 2009 when I purchased a Uwatec Aladin Smart Pro second hand off eBay. This has Nitrox, but was basically still the same as an Aladin Pro. As this will need a battery change shortly ($255 I think), I decided to get a new computer instead. While I thought that Uwatec computers were the leading computers through the 1990s and most of the 2000s, they have lost the plot and are not producing what the consumer wants now (funnily, this is when they were taken over by a US company, ScubaPro). They are also too expensive. In Australia you can only purchase from a dive shop that I prefer not to name. I am not sure of the price. You can also buy direct from Heinrichs Weikamp in Germany. The cost was €662 - AUS$868 (delivered). The delivery was via post (even though it shows as DHL) and it took about 14 days to be delivered. To date I have done well over 200 dives with it. A lot of the dives were only to about 18 to 20 metres, but I have also done many deeper than 25 metres. I have also done about a dozen in excess of 45 metres. The screen is extremely clear and bright, even in clear shallow water. I found it no problem to read at all. In addition, the numbers that are important are very large. I have used for Nitrox dives as well. I have it set for gradient factors using 30/85. On the decompression dives I have done to date, I did multi-gas dives and set it up to use 100% oxygen for decompression on some dives and a 50%+ mixture for others. Arriving at the set depth the computer suggested I change to the better gas. This was quite easily handled. Note that the Predator also does this. The computer has so many features that can be turned on or off as you need them. I have set things as I think I might want them, but I am sure that I will change some as time goes by. 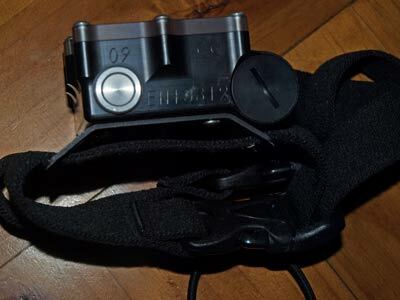 Nice features are a stopwatch, the ability to set a marker that can be used to record an event (visible in the downloaded profile), Future TTS (Time to Surface) which can be set for x minutes and gives you an idea what decompression you might have x minutes time, ascent/decent rates for alarms, different decompression algorithms, with user set levels of conservatism and more. From what I can see, how I have it set up the decompression is very similar to my Uwatec computers. When on I used it on the 27 metre dive, the no deco time was within a minute of two of the Uwatec. There are a few free software applications that can be used to download the dives. One is JDiveLog. This software is reasonable, and I started using it but then changed to Subsurface which is a lot better (and also free). This is a hard question to answer. Both are extremely easy to use and read underwater. Both have heaps of features. 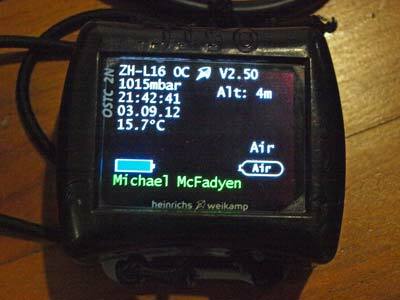 If you are a tech diver just using oxygen and nitrogen mixes, then either one would probably be suitable for you. If you want to do trimix diving, again, either one would appear to be as suitable as the other. It probably comes down to the price. If you have a CCR and do not want sensor integration, then the Heinrichs Weikamp OSTC 2N is probably better as it does everything at a much cheaper price. If you want external sensor integration, then the Predator PROCTE is the only option, although you could purchase the PROT and upgrade later. No matter which one you choose, you will probably be happy. Both computers worked perfectly till early 2016 when they both encountered identical problems. First, the OSTC started having intermittant problems with the left button not working, or at least, working only when it was tapped very hard. This then got worse till it required about 10 or more hard taps before it would work reasonably okay. Some months after this, the Predator started having a similar problem with the left button, but it would not work at all unless tapped hard. Within a few weeks, it stopped working at all. I contacted both companies. The OSTC could be replaced with a brand new one for a very discounted price of €432 (AU$626 at that time), with me keeping the old one. So far I have not taken up this offer as I can get it to work before a dive by tapping it lots. The Predator could have the buttons replaced with plastic ones by sending it to New Zealand. I posted it off and about three weeks later it was returned repaired. I had thought that this was going to be free, but it cost AU$225 plus the cost of mailing to NZ. To be honest, I am a bit disappointed with both companies as it is obviously a fault that is common (I know some others who have had the OSTC fail the same way).